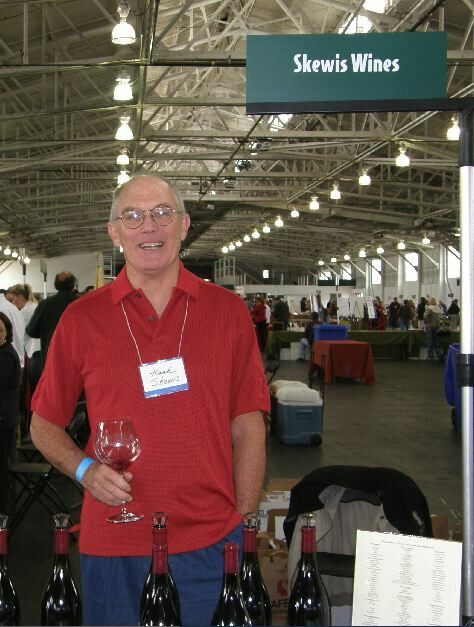 Pinot Report Publisher Greg Walter Dies Greg Walter rose up through the ranks over 14 years in the early days of the Wine Spectator to become President of that publication, and later became a freelance writer. He launched a newsletter devoted to Pinot Noir, The Pinot Report, about the same time that I started The PinotFile. He was a devoted advocate of Pinot Noir and we crossed paths many times along the Pinot trail. Donations may be sent to his family at www.YouCaring.com. Skewis Wines 2014 Vintage is Swan Song Hank and Maggie Skewis, who founded Skewis Wines in 1994 dedicated solely to Pinot Noir, have decided to retire. The fall 2016 and spring 2017 releases from the 2014 vintage will be their last. Hank told his customers, “After 36 years of harvests, I must confess to feeling a little wistful as my first grape-free harvest begins. This was always an exciting time of the year for me, offering the opportunity and challenge of a a new batch of ‘raw material,’ and long days. I am very grateful to have been a part of the wine industry for so many years.” The tasting room in Healdsburg will remain open Friday-Sunday at least until the spring of next year. Visit www.skewiswines.com. Ride the Rails with Kessler-Haak, Sanford and Zotovich Wineries This is an opportunity to taste Sta. Rita Hills wines, presented by the winemakers, as you roll down the rails along the Central Coast countryside. The tour departs from the Santa Barbara Amtrak station on Saturday, October 15, and returns late in the afternoon. A gourmet box lunch is included as you travel north to San Luis Obispo. The conveyance will be a 1949 Pullman club car Overland Trail. Seating is limited. Tickets are $148 per person. Order tickets at 805-680-0397. Pinot on the River The annual Russian River Valley Pinot on the River event will be held Sunday, October 23, on the Healdsburg Plaza. Over 70 artisanal Pinot Noir producers will be pouring beginning at 11:00 a.m.. Tickets are only $75 in advance. For tickets, visit www.pinotfestival.com/registration.html. 2016 Fort Ross-Seaview Wine & Harvest Festival The 4th Annual Fort Ross-Seaview Wine & Harvest Festival will be held on Saturday, October 15 at the site of the historic settlement that was the location where the first grapes were planted in Sonoma County in 1817. The event offers a delightful day of wine tasting, local food, crafts and music on the grounds of the Fort Ross State Historic Park on a bluff overlooking the Pacific Ocean. There will be a Pinot Noir seminar followed by a Grand Wine Tasting. Tickets for both Seminar and Grand Wine Tasting are $90 and are available at www.fortross-seaview.org/events/. Russian River Valley Single Vineyard Nights Winemakers and winegrowers will be pouring single vineyard wines from the Russian River Valley on Thursday, November 3, 2016, at The General’s Residence, Fort Mason, San Francisco, and on Thursday, November 10, 2016, at Library Galleria, 828 I Street, Sacramento. VIP tickets allow earlier entry and exclusive tastings of limited release and tasting room only wines. For tickets, visit www.rrvw.org/events/. Kosta Browne Raises $445,000 at Sonoma Harvest Wine Auction Co-founder of the Sonoma Harvest Wine Auction, Dan Kosta, served as Honorary Vintner Chair, as recognition for his leadership and commitment to Sonoma County’s wine and food community. Kosta Browne enlisted John Ash & Co., the restaurant where Dan Kosta and Michael Browne met, to host a special dinner for up to 50 attendees in celebration of Kosta Browne Winery’s 20th anniversary. Taking place at the winery on June 3, 2017, the special dinner will be paired with wines from the Kosta Browne library and each couple attending will take home a rare etched and hand painted 5-liter bottle of Kosta Browne single vineyard Pinot Noir. Bidding was oversold, with a total of 39 couples committing $5,000 each to attend the dinner. On top of the auction proceeds, Kosta Browne donated an additional $250,000 towards the “Fund the Future” initiative aimed at improving child literacy. The Sonoma Harvest Wine Auction held at Kenwood’s Chateau St. Jean raised a record $4.6 million. Alcohol May Further Predispose to Heart Arrhythmia in Some Drinkers A study published September 14 in the Journal of the American Heart Association, looked at data on 5,220 subjects in the Framingham Heart Study. The participants’ average age was 56 with slightly more women than men. Regular drinking (the study did not look specifically at wine) appeared to increase a person’s risk for atrial fibrillation. Every 10 grams of alcohol consumed per day (equivalent to one drink a day), increased the risk of developing atrial fibrillation by about 5 percent. The researchers found that every additional drink of alcohol per day increased the size of the left atrium which is a predisposing factor for atrial fibrillation. The study did not prove cause and effect and it may be that some people have a genetic predisposition for atrial fibrillation and alcohol may add to that predisposition. People who have no heart risk factors such as high blood pressure or a family history of heart disease, and who exercise regularly, are not overweight and consume alcohol in moderation with meals, then a glass of wine a day is fine, even recommended by many doctors. That said, people who drink alcohol every day should discuss their personal risk with their doctor.